Airstream Owners are somewhat unique to the RV world. With an ardent following, the company has established a strong passion among its customer-base. 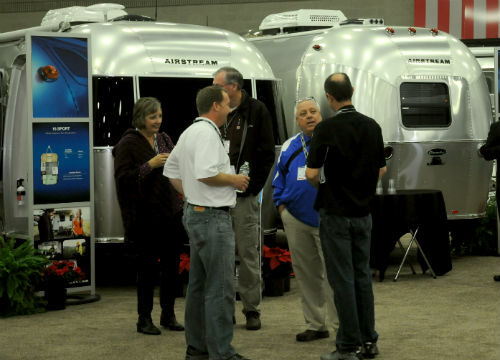 Whether it starts by brand recognition or word of mouth, the interest begins way before ownership and evolves through the company, Airstream dealers, and even owners themselves. 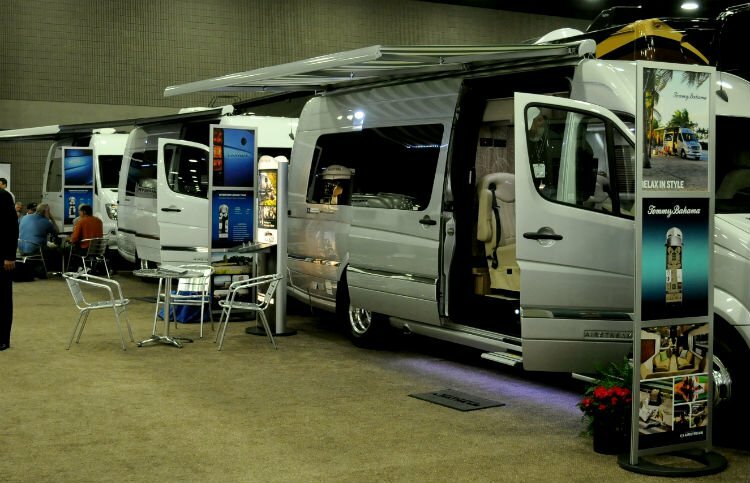 The series of Airstream class B coaches at the RVIA National RV Trade Show. The RV lot at Haydocy Airstream and RV. The education process, as Davis points out, stems from Airstream Trailers to its dealers through sales and technical service training. In fact, the Haydocy sales team emphasizes “situational camping” to its consumers. This outlines the different models in the Airstream line, yet they represent different functionality for an individual’s needs. Additionally, with sales materials available to help make the right buying decision, other incentives (after the sale) include free membership to the Wally Byam Caravan Club International. Haydocy Airstream & RV also offer new customers membership to Coach-Net.com, a RV-dedicated 24/7 roadside assistance program, plus discounts on parts and service. Haydocy Airstream and RV’s location in Columbus, Ohio. 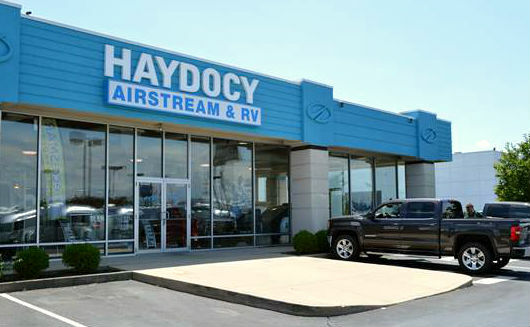 Further, service is a high priority for Airstream and its dealer base – Haydocy Airstream & RV included. 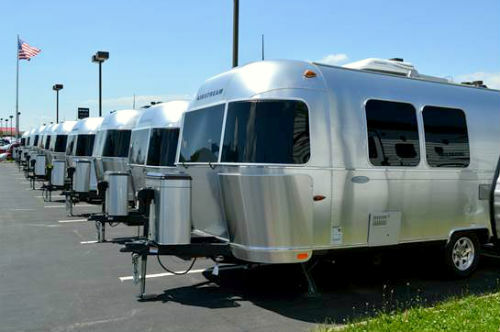 For example, the dealership, which ranks within the top Airstream 10 dealers in the U.S. since its opening four years ago, offers a full service center, parts store, and complete post-sales support for Airstream owners. While Airstream is known for its service support with a two-year road side assistance under the Coach-Net.com plan on all 2012 and newer model year trailers, Davis feels the onus also falls on Haydocy Airstream & RV. Eric Davis of Haydocy Airstream and RV (right) with RV Life`s David Duwe (left). Additionally, being located in Ohio, Haydocy Airstream & RV is a mere 90 minutes from Airstream HQ in Jackson Center, Ohio. As with any RVers, once Airstream owners are on the road, the destinations are practically endless. Nonetheless, the education process about Airstream and its lifestyle continues from the dealers to fellow owners at a destination.